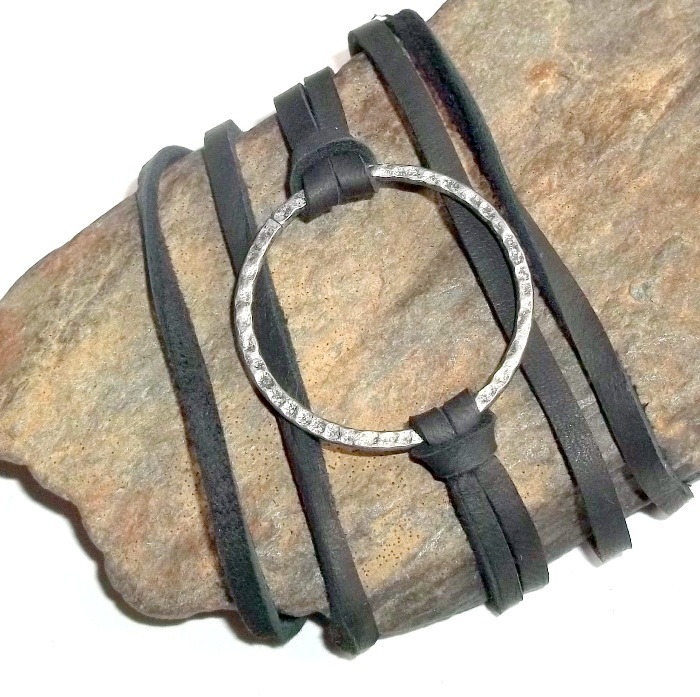 A hammered pewter circle wrap bracelet finished with deliciously soft deerskin leather in your choice of color. Work your surfer style or layer it up with other bracelets on your wrist. 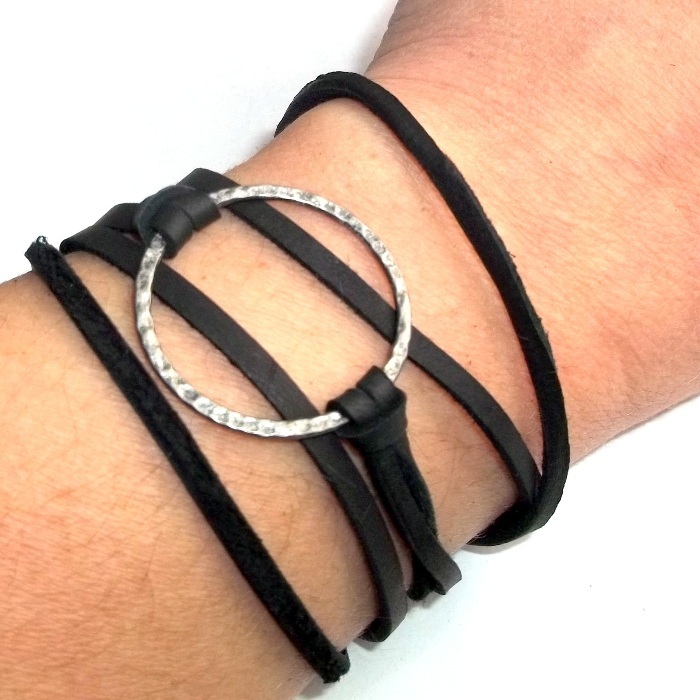 Wrap bracelet wraps three times around your wrist. Silver disc is 1 1/8 inch diameter. 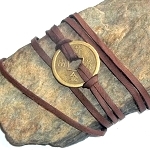 Leather is superior quality deerskin, 1/8 inch wide. 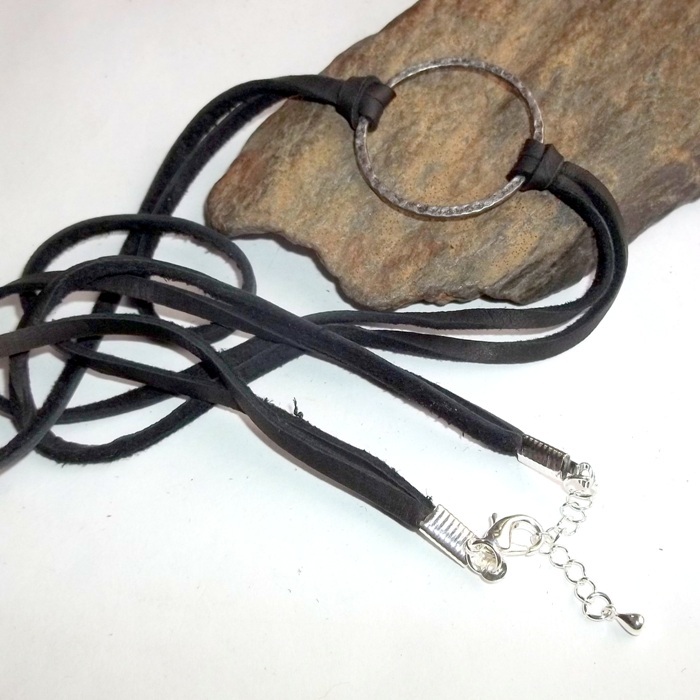 Ends of the bracelet have a silver plated lobster clasp and 1 1/2 inch extender chain for a perfect fit. Total length 22 inches. 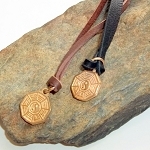 Please choose leather color when ordering.